I just love these pressed flower prints. 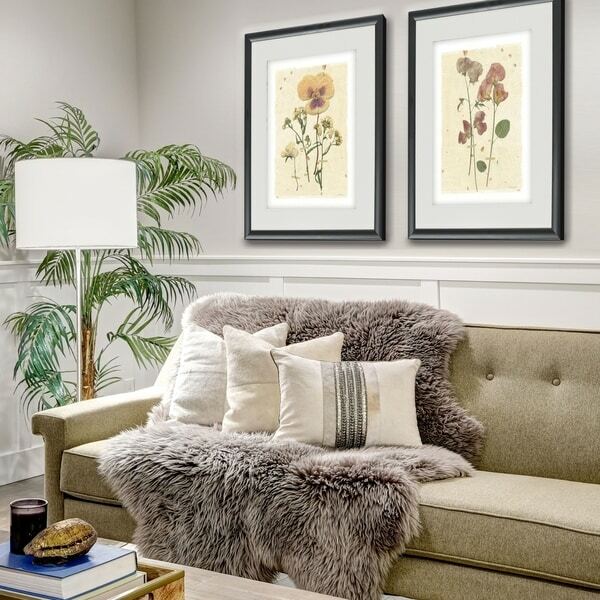 They are the perfect size for just about any space in your home or apartment. They are very well matted, and look especially nice when paired together. So happy I bought another set in a different pattern! 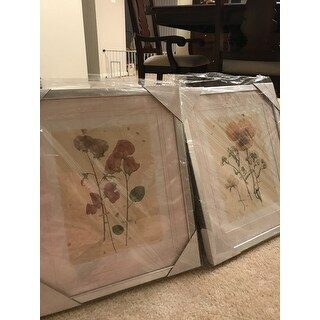 Pressed Pansy -2 Piece Set 2 Custom Framed Prints. 100% Created to last. Individually printed and framed by hand to very high standards. Printed and inspected one at a time utilizing the latest archival UltraChrome Giclee inks Available in 3 sizes for you to choose from Consisting of 2 Total Framed Pieces Each measuring 16''x20'' x .75'' deep Each Piece is Individually Framed Acrylic Glass Each piece includes hanging accessories and is ready to hang. You need only to apply an anchor to the wall of your choice. Items are not pressed flowers but prints of them. The prints are covered in cheap plexiglass and not glass. 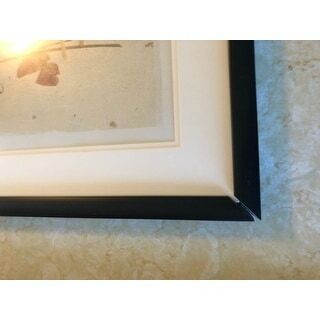 The frames are not wood as described, but black plastic and arrived separated and/or damaged at the corners. One of the prints is also crinkled. 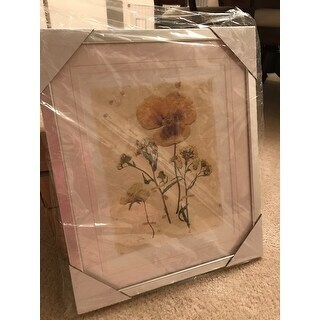 I also purchased the daisy prints and they arrived intact and are quite pretty when not damaged though the pieces are cheap feeling when you hold them. I'm returning this item for undamaged pieces. Really beautiful, although the frames include plexiglas vs. an actual piece of glass. The set I received were silver frames not black. 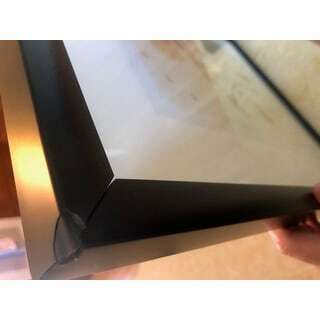 Please have a separate item # and description for the silver frames. So people like me don't waste their time ordering items, wait for the items only to send the item back the same day !!!!! I wasn't very happy with these. I was expecting actual pressed flowers behind glass. these were not. 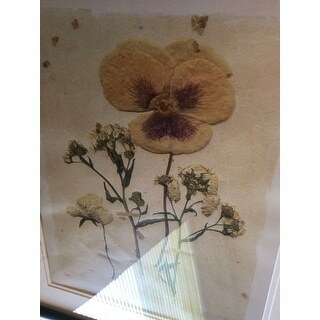 They are photos of pressed flowers. I sent them back and got a fast refund minus 12 something for shipping.